The Sony MDR NC500D is a trendsetter, since it is the first head phone to provide users with the Noise Cancellation in a digital manner. These headphones can cancel up to 99% of background noise. While they do have to have battery power, they are still a wonderful product. A review of the Sony MDR NC500D headphones will show that you can easily adjust the Noise Cancellation feature in a manual way, or even let the process occur the automatic way. The manufacturers have already preset the head phones to cater for three main environments. The device caters for the airplane, bus and office environment and the choice is easily made by the user. All of the environmental options have settings that have been designed in a tailor made way to fit with each specific condition. Once the specific option has been chosen, the frequencies are adjusted in order to fit the place effectively. The head phones have the ability of reducing noise levels by approximately 99%. Even though the head phones have good sound quality properties, they also have some cons that are associated with it. The most notable one is that this device is unable to offer a user the playback option. In addition to this, the device is also unable to play music in a passive mode. These headphones cannot be used as other normal head phones when the battery power runs out. This is due to the fact that the Noise Cancellation feature is only available when the device is on hence when it is off sound clarity is compromised. MSRP: $399.00, but you can usually find them for around $250. The Bowers and Wilkins P5 Mobile headphones are very stunning and extremely light in weight. The major drawback of the headphones is that they are designed in such a manner that they do not reduce noise efficiently. 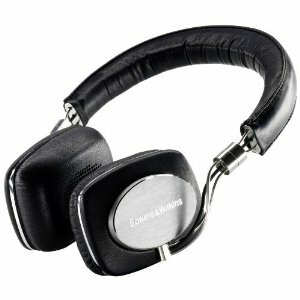 The Bowers and Wilkins P5 Mobile Hi-Fi Headphones are therefore recommended for people who are seeking for a fair deal. They are most appropriate for unprofessional work. These headphones are manufactured by the Bowers & Wilkins Company, who been making many other products for a few years now and increases product reliability. They are very stunning and extremely light in weight. Additionally, they also have an excellent comfort ability feature. There are black cables that are super thin and are used for integrating the controls for the iPhone or the iPod. The headphones give people who do not want to use the controls the option of removing the cable and replacing it with the normal cable. The headphones are housed in a carrying case that looks great and has been finished with a black silk. The interior is finished to precision, since it has all the space for carrying the headphones with all the cables in their respective places. There is also room for the adapter of the headphones and its dimensions are normally ¼ inches. The clarity of the sound is high, offering the user the chance to experience high quality sound, since all forms of distortion have been cancelled. The vocals also come across very crisply since they respond well to the frequency which comes in low-mid range. The absence of the Noise Cancellation causes a relatively substantial amount of muffling in the ambience when you wear the headphones. This happens due to the fact that you are just simply putting the ear pads of the head phones on your ears. The low end bass response of the head phone is superb because it does not boom in an exaggerated manner. Sennheiser HD 650 headphones have incredible audio, a strong and tough headband and comfortable, molded ear cups. These headphones are very expensive and require pricey accessories to fully experience sound quality. The Sennheiser HD 650 is an audiophile's dream. It delivers audio that is at once crisp, rich, warm, and inviting. Yet its price makes it very hard to justify buying unless you're the most dedicated music fan. But if you can find the headset for twenty percent off or more, you'll be getting an incredible deal. Sennheiser has always been known as a company dedicated to furthering the technology of headsets and this has made them a darling among serious music buffs and audiophiles. Because of this, Sennheiser can get away with charging very high prices for their very powerful and capable headsets. The Sennheiser HD 650 is arguably their greatest creation yet, but it is also easily among their most expensive headset ever made. Clocking in at over six hundred bucks, this is definitely not a headset for a casual fan. But it is refreshing to see that, for an audio purist, the price is justified. The sound quality is absolutely astonishing, with a gorgeous dynamic hi-fi sound thanks to the open ear cups. The bass is wonderfully rich and smooth yet still mighty. The connecting cable is a brilliant copper reinforced with Kevlar, making its handling noise incredibly low. The design of the headset is also very stellar, with ear cups molded to the ear and a tough yet very comfortable headband. Still, one glaring problem with these headphones is that they're of such a high quality that they truly must be played on a similarly good amp and music player. In other words, you may have to shell out even more money if you want to hear this headset in all its glory. Think of watching a blu-ray movie on a regular non-hi def television set and you've got the idea. For some people, getting a high quality amp and sound system simply isn't feasible, especially after plunking down over six hundred clams for the headset. But, thankfully, the HD 650 can be found for less than its MSRP. In some places, at the right time, you can save hundreds on this powerful headset. If this is the case, and you can find an equally good amp for a low price as well, you will be astonished at the incredible sound that can come out of these lovely ear cups. 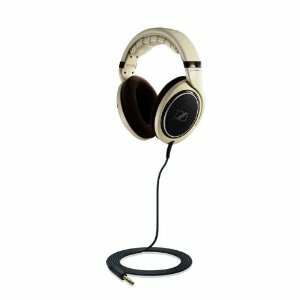 Roc Nation Aviator Headphones have a very beautiful design with surprisingly great sound, high quality speakers and soft, comfortable ear cups. The cable and connectors a are bit flimsy, they're kinda costly and the headband is a bit cheap and uncomfortable. The Roc Nation Aviator White sounds as good as it looks, which means that Skullcandy is getting better every day at melding physical beauty with audio perfection. Still, this is definitely not a perfect headset and, at a price approaching two hundred bucks, it may be difficult for some to justify the purchase. Those that can afford it will most likely not be disappointed, though. 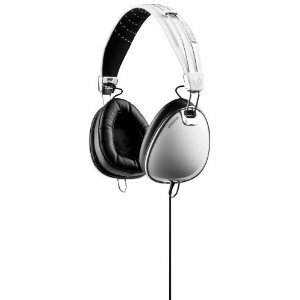 There are many headsets out there, but you'd be hard pressed to find one more beautiful than the Roc Nation Aviator White. This shouldn't come as a surprise to anyone familiar with Skullcandy, the company responsible for this lovely alabaster model. Skullcandy has always had an eye for the physically attractive and nearly all of their electronics accessories have this kind of aesthetic charm. But still, stylish looks will only get you so far. How does the Aviator handle the all-important task of sound quality? Refreshingly, it seems that Skullcandy's latest entry sounds as good as it looks. The difference between mids and highs is wonderfully clear and complex and the bass is rich and earthy without being too powerful. Skullcandy was never known for delivering superior audio (they've always been more about looks) and so it is very nice to see features like optics inspired polycarbonate and a 40mm speaker diameter. As for comfort, again the Roc Nation hits the mark easily. 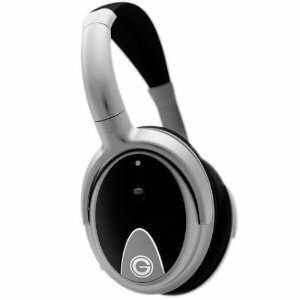 The ear cups are soft yet durable and feel very comfortable on the ear. The headband is a bit flimsy and leaves a little to be desired, though. Also, the cables and the jack seem to be a little cheap as well. They ought to do the job just fine if you treat them with care but it would be nice to have stronger, more rugged cables and connectors. Especially when you look at the rather high price tag. In the end, that price tag is what it all comes down to. Is the Roc Nation Aviator White worth its suggested $180 price? The answer is this: Barely. Many high quality headsets cost upwards of $250 and some of those are only microscopically better than Skullcandy's entry here. Though there is a bit left to be desired, this is still one of the few headsets that sound as good as they look. The Sennheiser HD 598 is so comfortable, you will hardly know you are wearing them. The price is a little steep, but well worth it. The adapter doesn't seem to fit on as many things as you may wish. Over all, this headset is a great piece to own; people seem to love it. They say it's a little tight when you first get it, but after a few days you couldn't be more comfortable with it on. It is great for sound and for wearing for long periods of time. 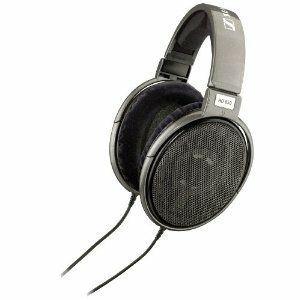 Sennheiser has long been known as the electronics company that melds affordability with quality in a way so that everybody, no matter their background, can enjoy top notch audio without breaking the bank in the process. So it goes with the Sennheiser HD 598 Headphones, the latest entry by the beloved company. Though the HD 598 is beautiful, looks are way down on the list when it comes to quality headphones. Aural capability is the order of the day here and, luckily, the HD598 definitely delivers on that score. The headphones come with Sennheiser's beloved “E.A.R.” technology, which stands for “Eargonomic Acoustic Refinement”. The sappy pun aside, this technology actually is quite grand. 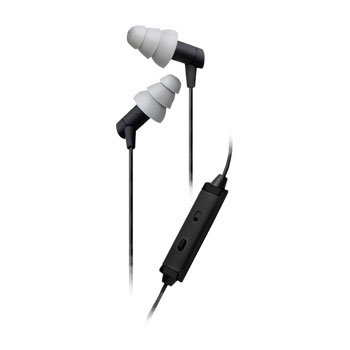 It is set up to channel audio signals right into your ear while removing interference and outside noise. Combine this with the similarly high tech Dufol diaphragm (which eases distortion) and you've got a sound system that can't be beat. Though sound is of the utmost importance when shopping for headphones, one must also think of comfort because, after all, the headphones will be pressed against your ears for long amounts of time. Thankfully, Sennheiser certainly took that notion into consideration. The ear cups are covered in a sleek and lush velour that makes them a dream to wear. The headband is also cushioned to further enhance the extreme comfort for the wearer. At first glance, one might think that the HD598 is bereft of extras and special features. After all, it only comes with an adapter. But the truth is that the headphones are actually chock-full of features that are contained within. In addition to the EAR technology, there is also a very advanced neodymium magnet system inside the set which further enhances the listening quality. Compressed cellulose fleece is also found inside the headphones, which works in conjunction with the Dufol diaphragm to eradicate distortion of all kinds. The Sennheiser HD 598 Open Circumaural Headphones may be the company's finest hour yet. With a massive amount of features all combined within a price tag that is under three hundred dollars, one finds it difficult to recommend any other headphones as of right now. Sennheiser has truly found a winner with the HD 598 and we can only look forward with baited breath to what the company will roll out next. There is a 3 year limited warranty offered with Monster Beat Spins High Definition DJ Headphones. The quality of the sound offered with these headphones is among the best that a consumer can find. They are very comfortable to wear for extended periods of time, which is a great benefit. The visual look of Monster Beat Spins High Definition DJ Headphones combined with the celebrity status of their creator though makes these among the most expensive you can purchase. Still, most consumers find them to be well worth it if they plan to use the headphones on a regular basis. These headphones are compatible with most products out there, so you can use them with your PC, TV, computer, iPod, and more. They are very easy to use and they come with a nice carrying case to keep them protected when not in use.They might be a little pricey, but if you use them on a regular basis, they are worth every penny. Monster Beat Spins High Definition DJ Headphones are comfortable to wear and they offer exceptional sound. They also quickly fold up for carrying and simple storage. They offer a microphone that is built in so you can easily chat online or make calls while keeping your hands free. They are also compatible with iTunes. These are studio quality headphones that were created by the musician, Doctor Dre. 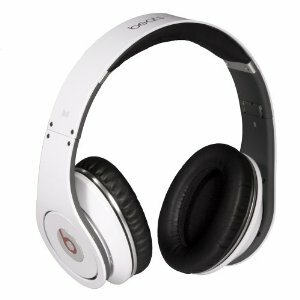 They are one of the top selling headphone products out there due to the comfort, design, and quality. This is one of three different types of headphones that are offered by the company. The sounds offered on them are on many levels and that means the consumers gets a unique experience. In fact, when you use Monster Beat Spins High Definition DJ Headphones you will find your music has more depth and quality than before. The background sounds will be recognizable instead of disappearing. 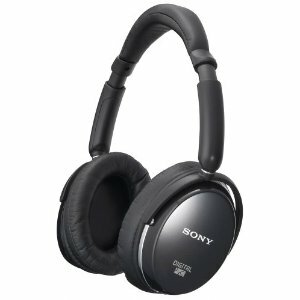 The Sony MDR DS 7100 7.1 Channel Digital Surround Sound Headphone gets top ratings for overall efficiency. The Sony MDR DS 7100 7.1 Channel Digital Surround Sound Headphone isn’t compatible for all user needs. It is important to take the time to find out if it will be a good match for your individual or business needs before you purchase it. That information can be found on the Sony website, by reviewing the owner’s manual there for this product, or by contacting their customer service team for further assistance. This product deemed to be a great value for the price. It is a sturdy product that will last for a long time. The long battery life is a bonus, too, and it lasts longer than most of the competing products in this particular category. 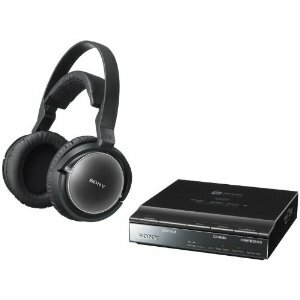 The Sony MDR DS 7100 7.1 Channel Digital Surround Sound Headphone is cordless so it offers convenient use from any location. The technology that it offers is called Virtual Phone and it can produce a 7.1 channel from a source that is only 5.1 channel. The driver offers a 50 mm unit that has up to 13 hours of battery life before it needs to be recharged. A user of the Sony MDR DS 7100 7.1 Channel Digital Surround Sound Headphone has the ability to move up to 93 feet from the processor. It can also be conveniently connected to any audio system. This includes a PC, TV, VCR, or DVD player. The level of technology that it offers is very high, yet a user won’t have complexity issues when it comes to using the Sony MDR DS 7100 7.1 Channel Digital Surround Sound Headphone. This is very important because a product that is complicated won’t be as valuable to a consumer. Additional headphones (MDR-RF7100) is available.